Conservatories provide the ideal space for dining and spending time in the sunshine without having to go outside. However, when the sun’s rays reach their hottest temperature in the middle of the day, conservatories can quickly overheat creating a clammy and unpleasant atmosphere. You can prevent this by implementing a variety of effective cooling methods. Here are some tips of how to keep conservatories cool in the summertime. You may have the same battle that many people have with their conservatories; they’re too hot in the summer and not warm enough in the winter. Nevertheless, there are several simple and reasonably affordable solutions to the problem; transforming your conservatory into a cool sanctuary throughout the summer. If you have not yet built your conservatory and are thinking of the of a new installation, then here is some advice that you may need to consider prior to building. If you have an existing conservatory that you’re trying to make more effective, then take some time to read this article and identify the simple changes you can make. This method is without a doubt the most effective way of cooling a conservatory. However, unfortunately, comes with an expensive price tag. They’re excellent devices for controlling the room temperature efficiently and quickly. Some air conditioning units also offer heating as well as cooling settings so that they can be used productively throughout the remaining months of the year. 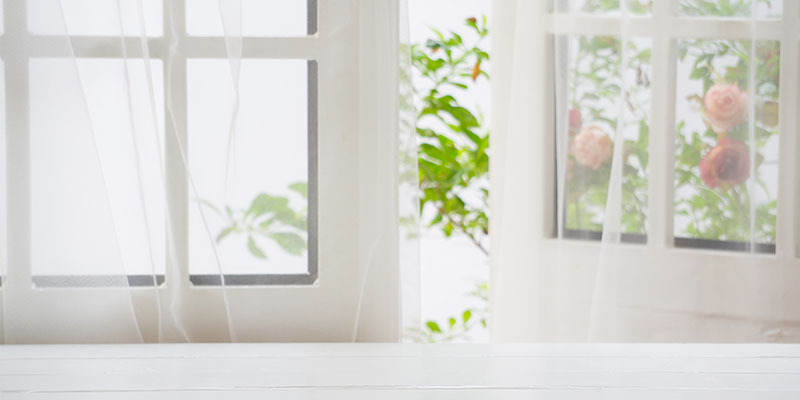 If you extensively use your conservatory or specifically for practical purposes such as an office, then investing in some air conditioning units is a worthwhile expense. You can now find solar-assisted air conditioning units which are much more environmentally friendly and energy efficient. They’re much cheaper to run compared with the regular units and will save you dramatically in expenses over time. If you think that an investment in an air conditioning unit would benefit your home and lifestyle, then it is vital to ensure you work out the amount of space you need to cool. Make sure to purchase the correct size unit suitable for the dimensions of your conservatory. A more affordable alternative to the installation of air con units is the addition of blinds. These are the easiest and cheapest solution to keeping your conservatory cool in the summer. By shielding the room from the glare of the sun, blinds will help to cool down the temperature of your conservatory significantly. They will also help to keep your existing heat in during the cooler months. You can choose from a vast variety of blinds available in an assortment of colours, styles and materials; guaranteed to fit a range of budgets. If you are looking for high-quality bespoke blinds, then you can opt for these to be made-to-measure. However, if you’re on a budget, then you can easily pick up stylish, yet, cost-effective blinds from places like Argos or Dunelm. You will also have the option to choose motorised or pull-cord operated blinds. The latter is likely to be more expensive, but highly convenient. The addition of blinds in your conservatory will give you the freedom to adjust both the light and the warmth you let in, regardless the time of year. Both ceiling fans and standing fans are effective and comparatively cheap cooling methods. When used in conjunction with open windows, fans provide a powerful way for air to circulate your conservatory and accommodate you with that well-needed ventilation. You could also consider purchasing a standing fan as an alternative to a ceiling fan. These are easily accessible and can be put away or into storage when their services are no longer required. You can also purchase bladeless fans which are traditionally more aesthetically pleasing. Depending on the size of may need more than one standing fan. If you are yet to build your conservatory, make sure to add a ceiling fan as soon as the building is completed. You can hire a professional to install it for you as soon as the conservatory is finished. Fans are guaranteed to keep you feeling fresh during the summer months. Keeping your doors and windows open during the summer will help to allow a sufficient supply of air to circulate your conservatory. By keeping the windows and doors fully closed, your conservatory will continue to retain its heat. The most effective way of maintaining a cool temperature is the combination of open windows with closed blinds. This will allow the fresh air to drift through your room whilst shielding the conservatory from the sun’s glare. In order to maximise the airflow in your home, open both the top and bottom vents in your conservatory. This will continue to let air enter even when the day gets cooler and shut the doors. If your conservatory was not built with vents, then you can install an openable skylight. It is vital to consider the ventilation of your conservatory prior to the building work. Adding additional ventilation afterwards can turn out to be the more expensive approach. Although keeping your windows open throughout the day will guarantee you can come home to a cool conservatory, make sure they are shut and locked whenever you leave for long periods of time to ensure the safety of your property. It is also a good idea to close vents as soon as the cold weather looks like its sticking around for a while. As winter approaches, you will waste more energy and money having to heat your home if you have left the vents in your conservatory open for too long. There are a number of factors that will contribute to the overheating of your conservatory. Luckily, there are also several solutions to the problem at hand. If you are aiming to make your existing conservatory more effective, then effective ventilation, the addition of blinds and fans and the installation of air conditioning are all great and productive ways of keeping your conservatory cool in the summer. If you are thinking of installing a new conservatory, then make Click Glazing provides conservatories in Milton Keynes and the surrounding areas. If you have enjoyed this article then why not give it a share.